Here's a subtle thing for IT folks. 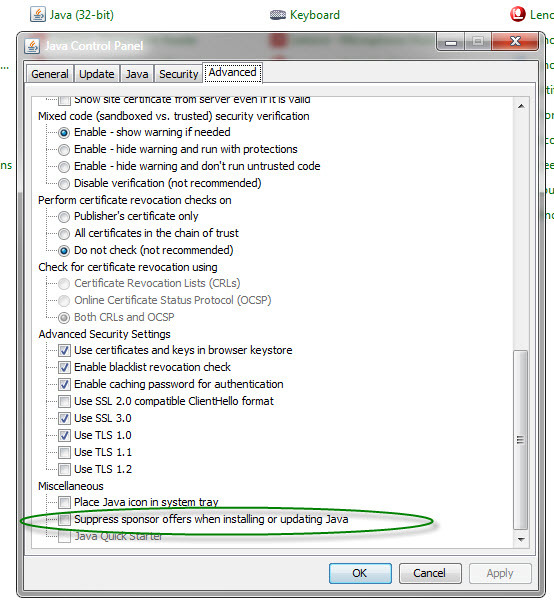 This check box was added in the very latest Java release. See anything useful about it?